This is a great little house. Would love to live in a community of them! 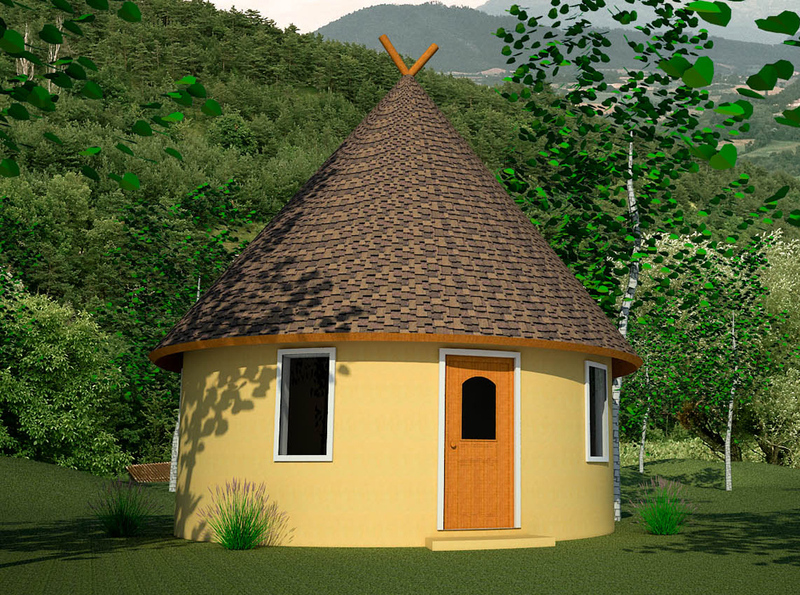 Would you recommend this design over something like the Peace Dome (perhaps with a metal roof) for climate zone 5b (Placerville, CO.)? 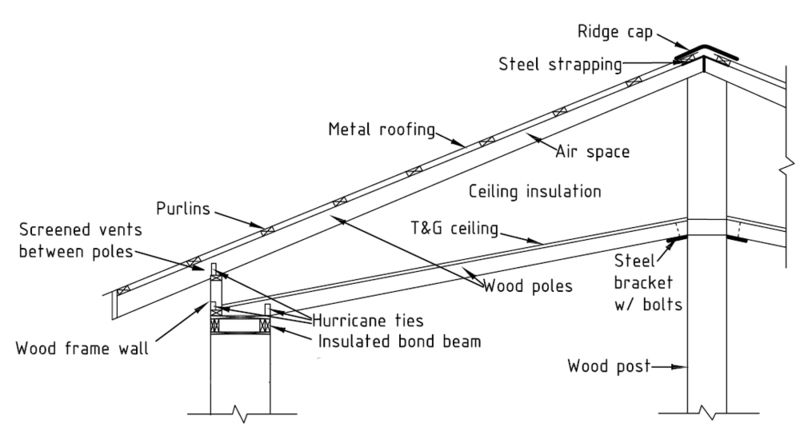 Can you explain more about the chum roof? 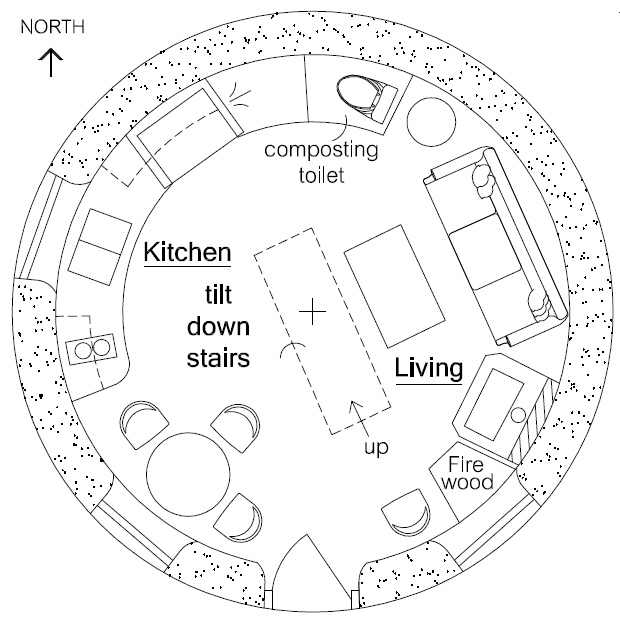 What are the advantages of the roundhouse/chum roof versus earthbag dome in cold climates? Thank you. You definitely want a roof. Domes are for deserts and often have water problems in wetter climates, so if you build a dome make a rainscreen covering or (better) build a roofed dome. The chum roof is another option. Use what looks best to you.